Scots legal elite firearms ownership revealed. AN INVESTIGATION into firearms ownership among Scotland’s legal fraternity - has revealed widespread firearms and weapons throughout the ranks of solicitors, advocates, prosecutors and the judiciary who run Scotland's legal system and the courts. 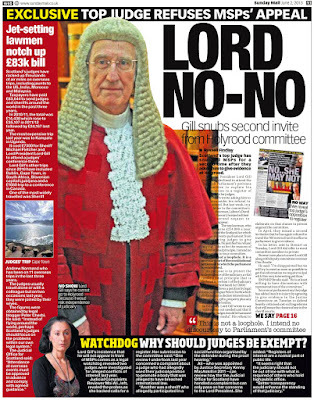 And, it can be revealed – 295 lawyers, advocates, judges, QCs & prosecutors collectively own more guns in their private collections than even Police Officers – as information now released by Police Scotland reveals 1,079 firearms, shotguns & air weapons in the hands of the legal fraternity - compared to 1,043 firearms and shotguns owned by 327 Police Officers. 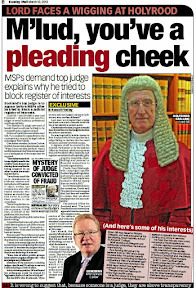 The investigation was triggered by a recent case involving firearms offences committed by the Solicitor General For Scotland – Lord Keen of Elie (Richard Keen QC) who was convicted and find £1,000 for breaches of the Firearms Act 1968 after he pleaded guilty by letter to the charge at Edinburgh Sheriff Court on 1 March 2017. Keen, who once headed a failed legal challenge against the Scottish Government over legislation to speed up pay-outs to asbestos sufferers - was charged after police investigating a break-in at his Edinburgh home found that a 12-bore shotgun had been ‘left outside a secure cabinet’ while Lord Keen and his wife ‘were away on holiday’. 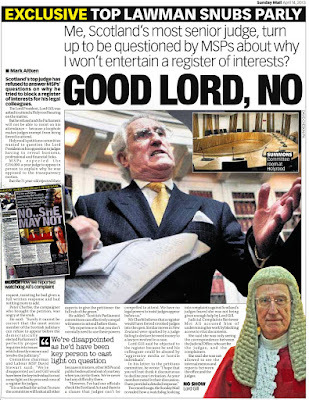 Lord Keen’s conviction for firearms offences, and the widespread ownership of firearms – including handguns - by members of Scotland’s legal fraternity - has drawn interest in the use of guns by Scotland’s wealthy legal establishment - who are known to favour the hunting & shooting set lifestyle with participation at shooting events at home and abroad. 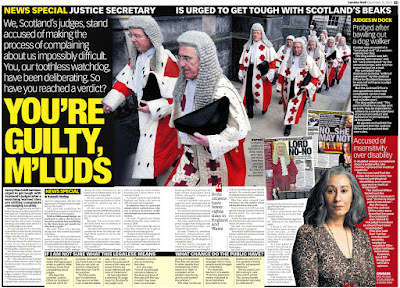 And these are no ordinary weapons owned by Scotland's legal elite. Shotguns popular with Scotland’s legal eagles - range from the relatively inexpensive to more costly ‘over & under’ & ‘side by side’ barrelled Browning, Beretta, matched pairs of expensive Purdeys and other expensive brands such as Holland & Holland, Army & Navy, and in the case of the Solicitor General for Scotland – a Stephen Grant 12 bore shotgun – which can sell for over £6,000. Data seen by journalists also reveal ornate ‘Damascus’ etched barrelled weapons, expensive side-lock action shotguns, semi automatic weapons, and presentation piece quality shotguns, well out of reach of most shooting enthusiasts. In relation to firearms, the legal establishment is similarly tooled up in numbers and quality of guns – ranging from handguns - and smaller .22 and .243 calibre rifles to high calibre firearms purposely designed for deer stalking. Among the more lethal stocks of weapons owned by the legal fraternity are – according to firearms insiders - double ‘express’ (two barrelled) rifles – primarily designed for ‘taking down’ much larger beasts such as lions, rhino and even elephants. 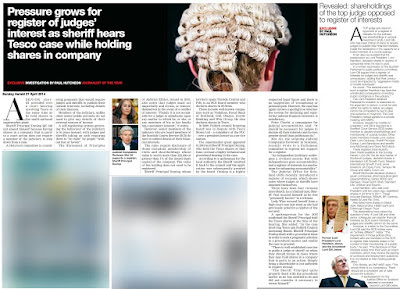 And, the ownership of silencers for firearms among Scotland’s legal elite - is much more widespread than originally thought. However, it can be revealed members of the legal fraternity own only 57 silencers for their ‘registered’ firearms - compared with a staggering 216 silencers owned by Police Officers – disclosed in part one of the firearms investigation revealing Police gun ownership. Information obtained during the investigation has now been clarified by Police Scotland, who disclosed some details in response to a Freedom of Information request. Police Scotland has revealed 8 Sheriffs and 8 Judges hold a selection of firearms, air weapons and shotguns. Of the 8 certificates held by Sheriffs, 1 is for firearms, 5 are for shotguns and 2 are for air weapons are held by currently serving Sheriffs, totalling 2 firearms and 10 shotguns. A further 8 senior ranking judges own a similar mixture of firearms, air weapons and shotguns. In relation to the eight certificate held by judges, 1 is for firearms, 3 are for shotguns, and 3 are for air weapons, totalling 2 firearms and 5 shotguns. 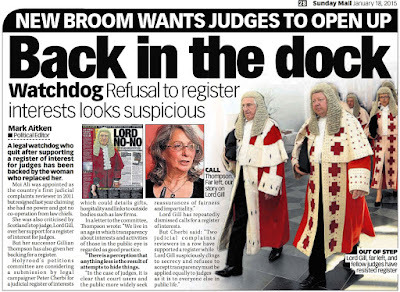 Curiously - while Police Scotland readily disclosed information in relation to members of the judiciary owning firearms - the Judiciary of Scotland said in response to an FOI request that no member of the judiciary has declared any ownership of firearms or shotguns to either the Scottish Courts & Tribunals Service (SCTS) or the Judicial Office. 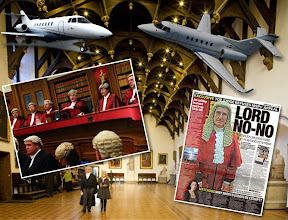 The Judicial Office also refused to answer questions on judges’ membership of any hunting or shooting clubs or associations, participation in hunting trips including deerstalking and other firearms related activities within the UK or overseas. While the judiciary remained tight-lipped on their stack of firearms & shotguns, Police Scotland has also released details on the firearms ownership of Scotland’s legal profession, where paralegals, solicitors, barristers, advocates, QCs and even prosecutors own over a thousand firearms, shotguns and air weapons. 4 paralegal certificate holders - hold 3 shotgun certificates and 2 air weapons certificates, holding a total of 5 shotguns. 6 barrister certificate holders - hold 2 firearms certificates, 4 shotgun certificates and 2 Air weapons certificates – holding between them 9 firearms with a further 3 silencers (sound moderators) and a total of 23 shotguns. 8 QC certificate holders - hold 2 firearms certificates, 8 shotgun certificates and two air weapons certificates – holding 6 firearms along with 2 silencers, and a total of 31 shotguns. 18 Advocate certificate holders - hold 4 firearms certificates, 18 shotgun certificates and 7 air weapons certificates – holding 9 firearms along with 3 silencers, and a total of 26 shotguns. 40 lawyer certificate holders - hold 12 firearms certificates, 25 shotgun certificates and 18 air weapons certificates – holding 55 firearms with 18 silencers and a total of 96 shotguns. 199 solicitor certificate holders - hold 51 firearms certificates, 146 shotgun certificates and 60 air weapons certificates – holding 100 firearms with 31 silencers, and a total of 393 shotguns. Two court officer certificate holders - hold one firearms certificate and one shotgun certificate. Only one single firearm held is listed in this category. 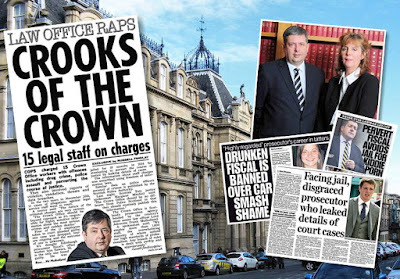 Police Scotland also disclosed two Crown Office prosecutors of Procurator Fiscal rank hold 2 shotgun certificates, holding three shotguns in total. It was not possible for Police Scotland to disclose further details of COPFS employees firearms, shotgun or air weapons usage, however it is known COPFS employees ownership of, and involvement with firearms shotguns and other weapons does exist = and to a more significant level than quoted in the Police Scotland FOI response. Police Scotland also disclosed firearms ownership among Scotland’s political classes at Holyrood. 3 MSP certificate holders - hold 3 firearms certificates, 2 shotgun certificates and 1 air weapon certificates – holding 9 firearms with 3 silencers, and – Police Scotland claim – a total of 24 shotguns according to the FOI disclosure. One Scottish Government Minister holds 1 shotgun certificate – and is in possession of 3 shotguns. A further 3 “Members of Parliament” certificate holders - hold 2 shotgun certificates and 1 air weapon certificate, holding a total of 5 shotguns. And one “Parliamentarian” holds a single shotgun certificate, and is in possession of 8 shotguns. Police Scotland said it could not provide details of Scottish Government employees due to deficiencies in the SHOGUN database which allows some firearms owners to dodge having their ownership of weapons included in national statistics. While the figures released by Police Scotland pertain only to numbers of weapons – rather than types and their potency by way of calibre - enquiries by journalists have since established Scotland’s legal elite enjoy generous permissions to hold, and purchase - significant quantities of ammunition for firearms and shotguns – with figures of thousands of rounds kept by certain members of the legal fraternity being commonplace. Commenting on the information released by Police Scotland, a firearms specialist who did not wish to be named said that while some of the certificate holders may be members of gun clubs and ‘shoot at paper targets’ , it was his understanding most of the weapons held by persons he knew to be members of the legal fraternity - are used for hunting purposes. 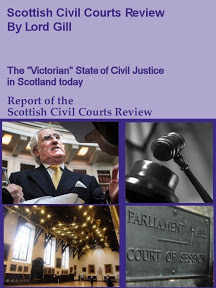 There are also claims the figures of firearms and gun ownership among Scotland’s legal establishment may be much higher than stated in the Police Scotland Freedom of Information disclosure - as various weapons such as antique powder propellant type pistols, muskets and rifles are among items thought to be owned by lawyers and others in the legal fraternity – and are often not registered despite some requirements to do so. The sometimes murky origins of the firearms & shotguns owned by the legal fraternity in Scotland are also drawing curiosity - after a legal source gave an account to journalists in relation to how two expensive shotguns including their leather cases and a set of valuable fishing rods & equipment ended up in the hands of a solicitor after he allegedly took the items from the estate of a deceased client to be valued. The items were never handed back to the family of the deceased nor were they included in any account of assets of the deceased’s estate. 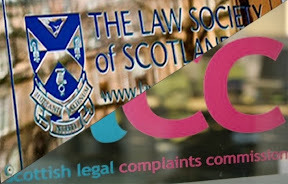 The Law Society of Scotland, Faculty of Advocates and Crown Office & Procurator Fiscal Service (COPFS) could not be reached for a statement on their members ownership and usage of firearms and shotguns. 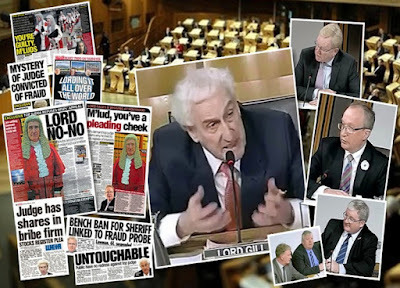 IN March 2017, Lord Keen of Elie - the UK government's most senior adviser on Scots law - was fined £1,000 after admitting a firearms offence at Edinburgh Sheriff Court. 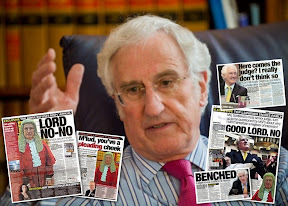 Advocate General for Scotland Richard Keen QC pleaded guilty – by letter - to breaching section two of the Firearms Act 1968 by ‘failing to secure a shotgun’. Lord Keen, a former chairman of the Scottish Conservative Party, was made a life peer in 2015. 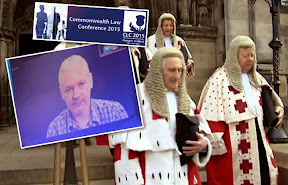 He did not appear when the case called at Edinburgh Sheriff Court in March 2017, choosing to plead guilty by letter – thus avoiding a court appearance. The presiding judge - Sheriff Frank Crowe said: "I do take into account Mr Keen's previous good record and the fact that he admitted his guilt at the outset. "Nevertheless to hold a firearms certificate is a privilege and there are very strict conditions which have to be adhered to to prevent such weapons falling into the wrong hands. "There was a potential risk with the shotgun not in the secure cabinet as laid down by the regulations." The court heard the offence came to light when Police Officers were called to a break-in at one of Lord Keen's properties – an address on Ann Street in Edinburgh - on Hogmanay last year. 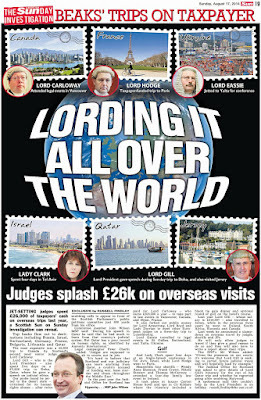 The court was told Lord Keen and his wife were away on holiday. Officers searching the property ‘found’ a 12 bore Stephen Grant shotgun in a basement out of its secure cabinet. Solicitor advocate Simon Catto, representing Lord Keen – told Edinburgh Sheriff Court his client had been out shooting on 27 December. Mr Catto added on returning home his client had taken the gun to the basement intending to clean it, but had then "forgotten about it through his own carelessness" before leaving on holiday the following day. 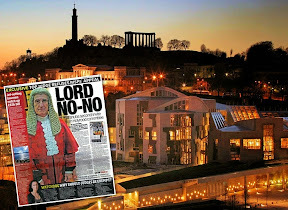 Mr Catto said Lord Keen had contacted Police himself on Hogmanay after receiving a mobile phone alert that his alarm system had been triggered. While the upper floors of the property had been ransacked, the burglars had not entered the basement area, he said. Mr Catto said: "He's a keen shot, he shoots approximately 10 times per year. "He has been a shotgun enthusiast for around 25 years and has held a firearms certificate. He is therefore fully aware of what's expected and required of him in terms of the certificate. "He accepts on this occasion he fell below that." Scots Cops gun ownership reveals silencers for firearms. AN ONGOING media probe into the background & extent of gun ownership in the Police, legal fraternity and judiciary has revealed Scotland’s law enforcers & legal eagles own thousands of firearms and stockpile huge quantities of ammunition. In part one of the investigation coveting law enforcement agencies, it can today be revealed Police Scotland have acknowledged their own officers own over a thousand firearms and shotguns, some of which have unusual configurations and which sources claim - have application uses now frowned upon in society. In response to a Freedom of Information request, Police Scotland disclosed 327 officers hold either shotgun certificates or Firearms Certificates – or both – and own a total of at least 1,043 weapons. Police Scotland also disclosed officers own at least 216 silencers for firearms – referred to in the FOI documents as “sound moderators”. The number of firearms held under a firearm certificate is 392, with a further 216 sound moderators. Further breakdown of weapon types is unavailable. The number of shotguns held is 651. Comparing figures issued by Police Scotland for July 2017, there had been a slight drop in Police Officers holding firearms or shotguns. • 131 holding both a firearms and a shotgun certificate as co-terminous. Many of the weapons held are thought to be for hunting purposes, including grouse shooting, deer, and other animals considered as "game”. However some of the higher calibre rifles are of the variety used to hunt large animals not native to the UK. In response to a question asking how many officers of Police Scotland currently have or have been granted other permissions (and what kind of permissions) to hold firearms? Police Scotland admitted two additional permissions have been granted for temporary permits issued under section 7 of the Firearms Act 1968. Police Scotland were also asked how many applications have been made by officers in the past three years (numbers per year)? The FOI response stated: The National SHOGUN database (which records such information on firearms & shotgun ownership) came into operation on the 20th of October 2014 so the statistics can only be extracted from this date. Application numbers provided include those certificate holders who have re-applied for the renewal of their existing certificate as well as those applications which are currently undergoing initial enquiry or have since been refused or withdrawn. While Police Scotland refused to disclose information on the types of weapons being held, there are claims the selection of firearms held by officers includes high calibre rifles, and expensive shotguns normally found among the gentry & landed classes. From types of weapons – particularly rifles - detailed in claims to journalists, some of the higher calibre rifles are clearly of the variety used to hunt large animals not native to the UK. There are also claims some of those who are licensed to own firearms have permissions to stock “significant quantities of ammunition” as well as permission to purchase higher amounts of ammunition than other firearms applicants may find possible to obtain similar permission for. Figures of several thousand rounds of ammunition have been mentioned to journalists, but Police Scotland have not clarified any information relating to stocks of bullets held by firearms owners. Police Scotland were also asked if Police Officers to inform senior offices or the Chief Constable of their intentions to own firearms. In response to a further FOI query - Police Scotland also admitted to the recovery of around 30 handguns over a three year period asked for - although the real total is thought to be higher. Police Scotland admitted it had recently taken in 11 Pistols and 19 Revolvers. There are claims some of the handguns may have been handed in Police Officers themselves, and that some weapons have been handed in on behalf of criminals - but Police Scotland refused to provide further information relating to how many handguns the force had actually recovered or even the dates of recovery. Police Scotland cited ‘costs’ reasons against disclosure and claimed there were no procedures in place for accurately recording the handover of such weapons – which carry a mandatory five year jail sentence in Scotland if persons are found to be in possession of a handgun. In response to further questions put to Police Scotland: Also, to ask how many handguns have been handed in to Police Scotland by Police Officers or retired Police Officers or civilian workers of Police Scotland from (i) personal ownership (ii) undetailed, undisclosed or unknown ownership (iii) in response to any amnesty or amnesty issued by Police Scotland for a specific handing in of a handgun from January 2014 to the date of this FOI request. And if information is available on types of weapons, calibres in relation to weapons covered by this FOI request. For the purposes of this FOI request, the term handgun refers to a firearm or a deactivated firearm. However, in connection with the Firearms Amnesty in England & Wales of 2014, there are claims a significant number of firearms, including handguns made their way south to English Police Forces, to avoid being handed over in Scotland. Journalists have also been made aware of claims some of the English Police forces who received these firearms became curious as to the origins of the weapons, and made queries with their Scottish counterparts as to whether any of the guns may have been used in crimes. Chief Exec. 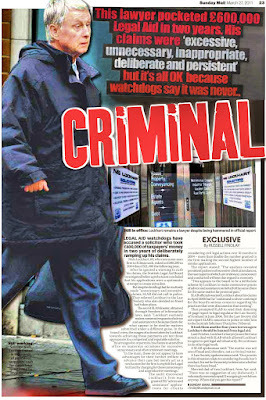 John Foley retires from discredited Police quango. THE Chief Executive of the embattled Scottish Police Authority (SPA) is to take ‘early retirement’ – with an as-yet undisclosed pay off for leaving the crisis hit Police governance quango which oversees the running of Police Scotland. John Foley - who faced heavy criticism along with SPA Chair Andrew Flanagan for running the SPA like the “Kremlin” in sessions before the Scottish Parliament’s Public Audit and Post Legislative Scrutiny Committee in April of this year will depart in October after the SPA’s year end accounts are signed off. Ironically – Foley - whose retirement was announced earlier today by the SPA - will leave the discredited Police watchdog quango months before the eventual departure of Chief Executive Andrew Flanagan, who announced his resignation earlier in June. However, Andrew Flanagan is to remain in the £70,000 a year post - while the Scottish Government look for a successor. A recruitment round for the role of SPA Chair was only announced earlier this week, with a closing date for applications of Thursday 21 September 2017. Commenting on his own departure, CEO John Foley said: “The SPA has continued to evolve and improve since its inception in 2013 and strengthening the governance of Forensic Services is the next stage of that journey and one I fully support. Clearly the revised arrangements have significant implications for the CEO role I currently hold and following detailed discussions with the Board since the start of the year I have chosen to seek early retirement. The SPA board said Foley would be paid in lieu of his contractual notice period as part of his overall settlement – but gave no figure on what the substantial payoff is likely to be. The SPA said it will now conduct a process seeking a 12-month secondee to act as chief officer for the SPA. A 12-month tenure will allow the review underway of the SPA’s wider executive requirements to be completed, the HMICS thematic inspection of the SPA to report next spring, and for a new SPA Chair to be appointed. John Foley joined SPA in August 2013 as interim Chief Executive with management responsibilities for both the SPA’s governance and statutory forensic services responsibilities, and was formally appointed permanent CEO later that year. Although the CEO role becomes redundant from 1 September 2017, the existing Board members – who were castigated by MSPs for a collective amnesia in their attempts to answer questions before Parliamentary Committees – has decided to keep John Foley on as Chief Executive until the SPA’s 2016-2017 annual accounts are signed off in late October 2017. The board – which comprises members who have already taken large payoffs from other public bodies under terms of being “too ill to work” – stated they had consulted Audit Scotland – the equally discredited accounts body which counts among it’s duties a responsibility to audit public finances in Scotland and ensure value for money. 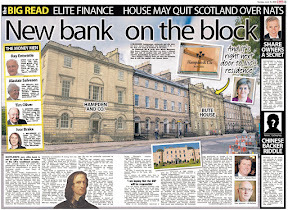 However, it has come to light the same Audit Scotland recently swept a £2.4 million loss at Scottish Borders Council under the carpet – the very same local authority which paid off SPA board member David Hume a total of £318,434 in 2012 after claims of bullying at the South of Scotland local authority. The remaining text of the statement issued today from the SPA focussed on changes in reporting, reminiscent of “window dressing”. But the HMICS report was highly critical of the approach which had led the SPA to meet in private. "There is a fundamental need to listen to the views of stakeholders to maintain public confidence, and on this occasion the SPA has failed to do so until pressed by parliamentary committees.The SPA must recognise the legitimate interests of parliament, local authorities, staff associations, the press and the wider public in the scrutiny of policing in Scotland." In addition, the SPA Board established a new Deputy Chair role. Nicola Marchant has been unanimously appointed to that position with immediate effect. 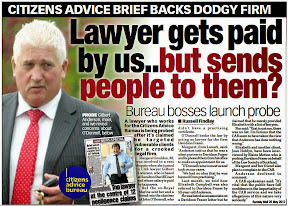 Police Officers business interests register beats secrecy on judicial interests. POLICE SCOTLAND has released the latest data on their officers business interests, revealing enterprises from property letting to golf, education, entertainment & consultancies. The information, disclosed in response to a Freedom of Information request, follows on from an article in May which revealed 1,512 Police Officers in Scotland have secondary businesses & jobs in addition to their work as Police Officers. The information relating to business interests of Police Officers is recorded on the Police Scotland HR system (SCOPE). While the details disclosed by Police Scotland does not name actual companies and businesses in which officers are involved, the level of detail gives a flavour of potential cross over between cops second jobs and activities in public authorities, public contracts and particularly relationships with the legal world. Police Scotland refused to provide an actual breakdown of organisations by name, claiming the cost would be too much to provide this information. However, there is a significant public interest in the identification of businesses in which Police Officers operate, alongside their occupation as law enforcers, given potential conflicts of interest which can only truly be judged by the public, rather than Police Scotland itself. The latest figures from Police Scotland reveal that since January 2015 there has been 354 Police Officers and 48 Police Staff who have been granted a business interest which is recorded on their SCOPE record. However, Police Scotland refused to provide information on the number of Police Officers and Police Staff who have had a business interest refused – citing cost grounds on providing the information. Police Scotland claimed they would have to “manually check each and every individuals personnel file to see if any individuals have applied and been refused”. Chief Superintendent: Education, Entertainment, Property Letting. Superintendent: Agriculture, Property Letting, Shop or Other Like Business. Sergeant: Account manager, Administration, Agriculture, Childminding, Coastguard Rescue Officer, Construction, Consultancy, Driving, Education, Entertainment, Fitness, Football, Interior design/upholstery business, Gardening related, Health related, Landscape gardening, Musical interest, Office work, Photography, Piper, Play in a Band, Property Letting Retail, self-employed Joiner, Shop or other like business, Sport Related, Trade, Voluntary bailiff, Voluntary Worker. Police Constable: Administration, Agriculture, Army cadet force instruction, beauty therapies, Catering, Cake making, Child-minding, Child nursery, Cleaning services, Coach, Coastguard Rescue Officer, Construction, Consultancy, Crew member, Cricket, Deer stalking, Driving, Education, Electrician, Entertainment, Fitness, Football, Foster carer, Freelance instructor, Gardening related, Ground maintenance worker, Gym attendant, Handicrafts, Handyman, Health related, Home carer, Indent chipping, Joiner, Martial arts, Motorcycle training instructor, Musical interest, Office work, Partner in family own farm, Parent Council, Photography, Piper, Play in a Band, Political, Professional footballer, Property Letting, Referee, Reservist, Retail, RNLI Lifeboat crew, Sales, Search Team Member, Self-defence Instructor, self-employed Joiner, Shop or other like business, Sport Related, Sports Therapy/rehabilitation, Spray Painter, Stockman, Tele-marketing, Territorial ARMY, Therapist, Trade, Training, Tutor, Unpaid Garage assistant, Voluntary Worker, Volunteer - Highland hospice, Volunteer - HM Coastguard, Web development and hosting, Writer. Police staff (Civilian employees): Administration, Agriculture, B&B / Guest House, Beauty Therapies, Bicycle repairs, Caretaker, Cleaning Services, Comedy writer / Performer, Consultant, Consultant trainer, Dance class, Director, Driving, Education, Electrician, Entertainment, General maintenance Person, Handicrafts, Musical interest, Office work, Photography, Play in a Band, Property Letting, Receptionist/Administrator, Relief Support Worker, Reservist, Retail, Sales, Sale and Marketing, Secretary/treasurer, Self-catering holiday accommodation, Shop or other like business, Sport Related, Therapist, Trade, Voluntary Worker Wedding planner and car hire. Regulation 5 of the aforesaid regulations outlines the provisions concerning any 'business interest' of a police officer. Police officers may also choose to disclose business interests of spouses or partners. All police officers business interests are granted by the Chief Constable, which are based on their own particular circumstances and review dates are similarly set (based on individual). Legislatively, the term 'business interests' covers a variety of categories and directorships fall within this. While a member of police staff is not legislatively required to declare business interests/secondary employment, contracts of employment can outline constraints on such activity. For instance, some senior posts in Police Scotland are restricted; some politically, some commercially, some both. Furthermore, the Anti-Corruption Policy includes putting in place procedures that support the identification of risks that business interests or secondary employment may pose to the organisation or individual. 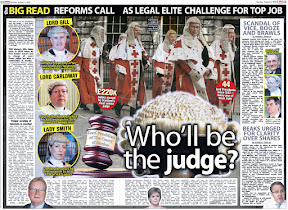 In comparison to the Police Scotland disclosure - members of Scotland’s 700 plus strong judiciary – who take the ultimate decisions on the results of Police detection of crime - do not share any details on their outside interests save a handful of judges who serve on the ruling Board of the Scottish Courts and Tribunals Service (SCTS). Millions from Police budget ends up funding lawyers. 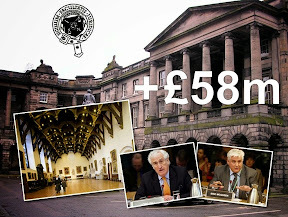 SCOTLAND’S single national Police service – Police Scotland is spending millions of pounds of public cash on external law firms, advocates & QCs over and above the significant costs of it’s own in-house legal teams. The single national Police service for Scotland has admitted paying at least £1,316,819 to external solicitors, QCs, advocates and the courts over a three year period - over and above costs for in-house legal teams. The largest beneficiaries of public cash from Police Scotland are Clyde & Co (formerly Simpson & Marwick) who were paid £361,801.91. However, while that firm was still Simpson & Marwick prior to its merger with Clyde & Co, they earned £284,914.15, giving total earnings since January 2014, of £646,716.06. 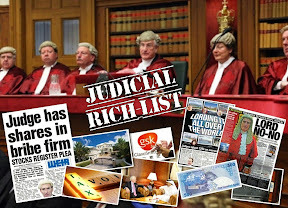 Other big-earning firms from Police Scotland’s public cash splurge on major law firms were Morton Fraser (£278,069.60) and Ledingham Chalmers (£103,906.08). 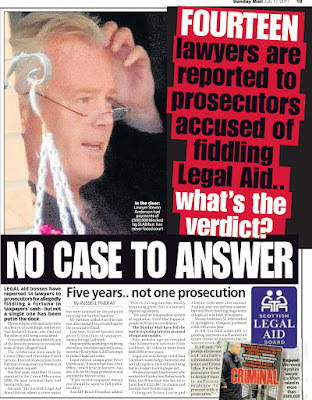 However, the figures - released in response to a Freedom of Information request - Police Scotland & SPA Fees to external lawyers, law firms & QCs 2014 to 2017 - are now subject to scrutiny - after journalists questioned the Police as to why over half a million pounds paid by the Police to a law firm named in a £400m collapsed Hedge Fund scandal and a suspended judge were excluded from the figures handed over by Police well out of timescales tolerated by the Scottish Information Commissioner. 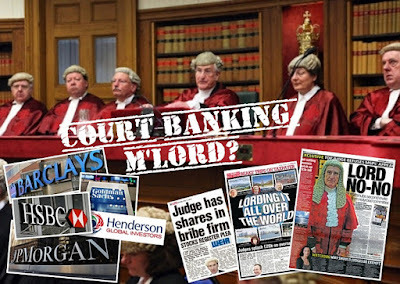 It was reported by the Scottish Sun in March 2016, a sum of £187K was paid to lawyer Peter Watson – a sheriff who has been suspended from the judicial bench for well over two years, and a further £364,830 was paid to Levy and Mcrae – the Glasgow based law firm named in a £28m writ in connection with the collapse of the Heather Capital hedge fund, run by Gregory King who is subject to a Crown Office probe now in it’s fourth year. 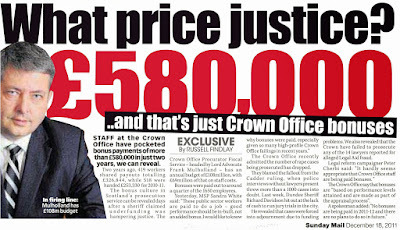 Police Scotland also disclosed at least £52,014 has been paid to in respect of Opinions of Counsel and Senior Counsel instructed by in-house Legal Services directly and at least £32,378 has been paid to the Scottish Court Service since January 2014 by in-house Legal Services directly. 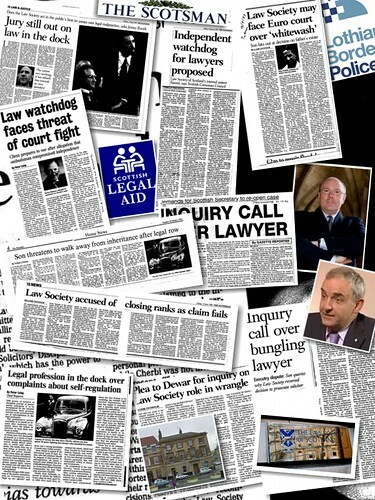 Police Scotland also disclosed the names of law firms and Advocates Chambers who have received legal fees. And, today, it has emerged in an additional, three months late FOI disclosure – the controversial Scottish Police Authority (SPA) has admitted to spending millions more on legal fees for it’s own use, with at least £623K spent on external law firms and £435K on it’s own in-house legal teams. SPA Legal Costs (in-house and Third Party) From Jan 2014 to June 2017 saw the following public cash spends on third party legal costs: £154,449 (2013/14) £104,570 (2014/15) £175,785 (2015/16) £167,667 (2016/17) and £20,543 spent already in this financial year which runs to 2018 making a total of £623,012 on third party legal costs. Costs for the SPA’s own in-house legal team has now reached £434,512 in just three years. However, unlike Police Scotland, the secretive Scottish Police Authority refused to identify the names of law firms & counsel involved in it’s £1million plus legal expenses bill. The SPA’s refusal to identify legal firms via FOI legislation has now been submitted for review, and possible investigation by the Scottish Information Commissioner, after weeks of deliberate delays by the SPA in disclosing the legal costs. 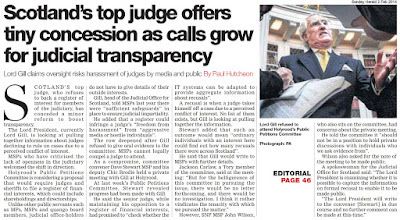 Additionally, questions are also being raised with the Scottish Information Commissioner on Police Scotland’s attitude towards Freedom of Information timescales after weeks of deliberate delays in the force’s handling of FOI requests. DESPITE having its own legal team, Police Scotland has spent more than £1000 per day on external legal lawyers and court costs since January, 2014. In the three years and six months to June of this year, Police Scotland paid out £1,316,819 to external solicitors, QCs, advocates and the courts, according to figures released under Freedom of Information (FoI) rules. Peter Cherbi, the legal issues campaigner and blogger who made the FoI requests, has criticised the force after it refused to answer The National’s questions on the issue, directing us to use FoI questions. 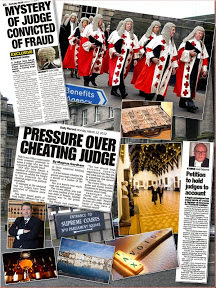 More than 950 fee notes were issued to Police Scotland by law firms and individual solicitors, with £32,378 paid directly to the Scottish Courts Service for costs incurred in numerous actions. More than 40 law practices across Scotland were paid for work, some of which is believed to have been connected to the many police property disposals which have taken place over the past few years since the national force was created in 2013. 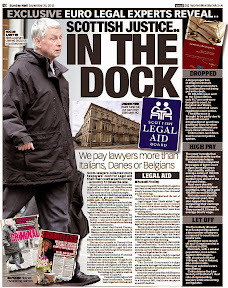 Other firms were paid for expertise in various personnel and legally complex matters, and QCs, solicitor and advocates all represented the force in court, including cases at the Court of Session. 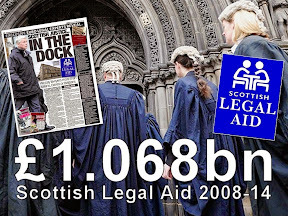 In all, solicitors received £1,068,320 in that time. 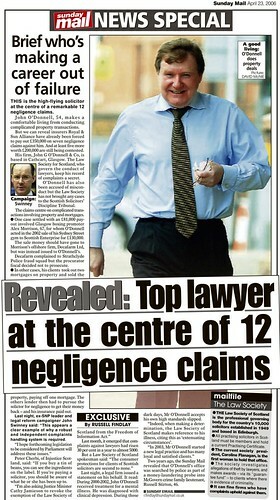 The National can reveal that the biggest earners from police work were Clyde & Co (formerly Simpson & Marwick) who were paid £361,801.91 for their involvement in such high-profile cases as former Assistant Chief Constable John Mauger’s failed action for judicial review of a decision by then Chief Constable Sir Stephen House – Maria Maguire QC acted for the force in that case. While that firm was still Simpson & Marwick prior to its merger with Clyde & Co, they earned £284,914.15, giving total earnings since January 2014, of £646,716.06. 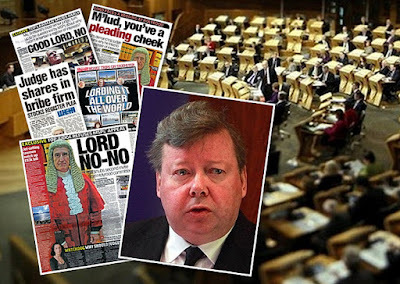 Other big-earning firms were Morton Fraser (£278,069.60) and Ledingham Chalmers (£103,906.08). 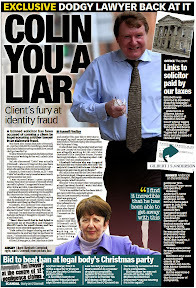 By contrast, Renfrewshire law firm McCusker, McElroy and Gallanagh were paid just £30. The response did state, “951 fee notes have been rendered by external solicitors since January 2014”. 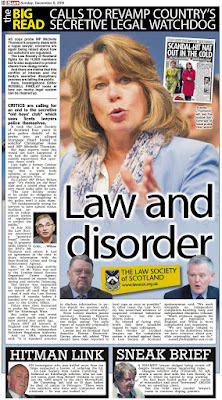 The National asked the Scottish Police Authority (SPA) which is supposed to superintend the national force if it was aware of the extent of usage of lawyers outside the legal services section of Police Scotland. We also asked if Police Scotland had to pay the legal costs of anybody taking out a court action against the force, and why do many solicitors firms were used? We also asked what is the annual budget for the legal services section and asked both Police Scotland and the SPA to say if any of the costs were for defending Police Scotland personnel accused of crimes, or if any external cost was incurred in defending Police Scotland personnel in civil cases. The reply we received was “you would have to submit an FOI request in relation to these questions”. Peter Cherbi commented: “While chief constables and senior officers have been talking up their lack of resources and funding in public, Police Scotland have been keeping law firms afloat with huge public spends of funds better spent on front line policing. “The force’s overuse of law firms for legal action and other legal services must be opened for public inspection on a case-by-case basis. 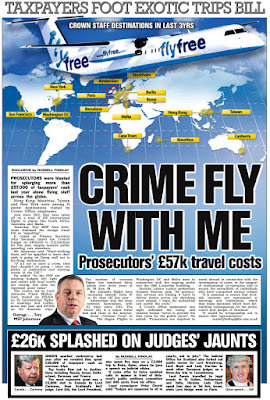 What are Police Scotland spending all this money on lawyers, and why? What are the processes employed by Police Scotland for using legal services? A key question given they have their own in-house lawyers. 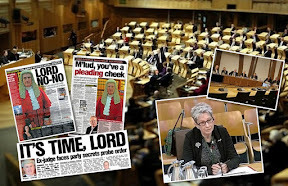 “The public have a right to know and the Scottish Parliament should be looking to raise questions on this issue, which would make for some interesting exchanges before the Scottish Parliament’s Justice sub committee on Policing. Ex top cop & SLCC Board member is new Judicial Investigator. A FORMER Deputy Chief Constable of Tayside Police who served as Convener of the Standards Commission for Scotland and was a board member of a tainted legal complaints quango – has been approved by Scotland’s top judge to investigate judges and serve as Scotland’s third Judicial Complaints Reviewer (JCR). Ian Gordon, who also formerly served as a board member of the pro-lawyer Scottish Legal Complaints Commission (SLCC) and is currently Acting Commissioner with the Northern Ireland Public Service Ombudsman Office – will now serve as Judicial Complaints Reviewer from 1 September 2017 to 31 August 2020. 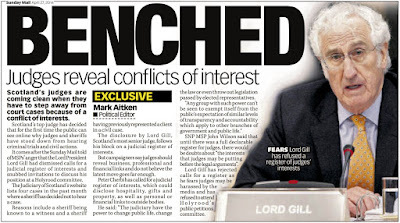 Ian Gordon’s appointment as JCR, which is required to be approved by Scotland's top judge – currently Lord Carloway - was announced by Justice Secretary Michael Matheson yesterday, Monday 14 August. 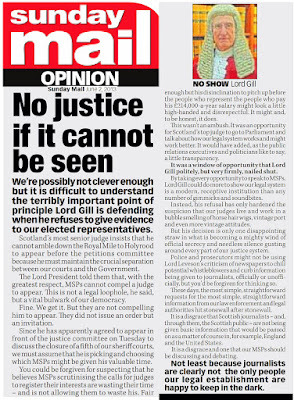 However, MSPs from across the political spectrum have called for the judicial watchdog to be given new powers and a review of the role undertaken by the Scottish Government amid controversy over the lack of powers to the JCR. Moi Ali continually called for extra powers until she quit the role in 2014 amid lack of cooperation from the judiciary & Scottish Government. 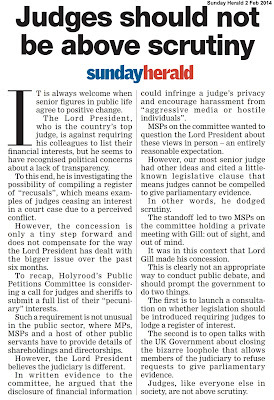 Gordon’s appointment as Judicial Complaints Reviewer comes after both his predecessors complained the SNP Government starved the post of resources. 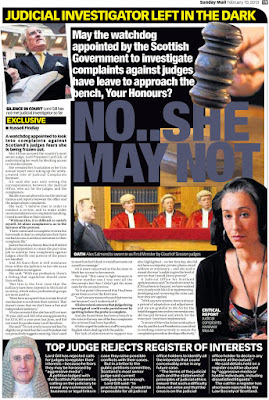 Last week, the Sunday Herald published a further report on the controversy around the office of Judicial Complaints Reviewer, revealing current Gillian Thompson has published further concerns on the relevance and efficacy of the job. Gillian Thompson said her contracted hours of just three days a month “inevitably” led to delays, “inconvenience for complainants” and ultimately “a poor service”. She said she doubted public expectations were being met, complained her access to investigation files was limited, and urged ministers to “review the relevance of the role”. Gillian Thompson published two annual reports on her work as JCR, last week - which contain no case histories after the Scottish Government suggested such references be excluded in published reports. 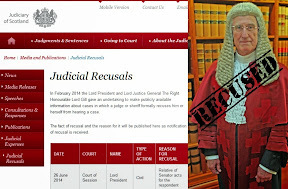 Several weeks ago Thompson was caught in a controversy where documents released by the Scottish Government revealed she had accused her predecessor of being the source of media interest in the lack of published annual reports by the JCR. 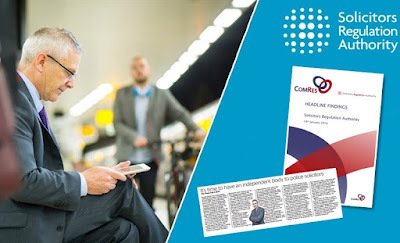 The accusations turned out to be false, and the Scottish Government ordered journalists to destroy the initial release of documents, which was swapped for another version by Stuart Lewis, a Senior Media Manager for the Scottish Government’s Justice & Education hub. 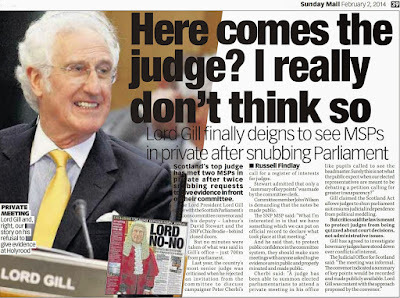 Lewis refused to identify who took the decision to order destruction of the FOI documents. 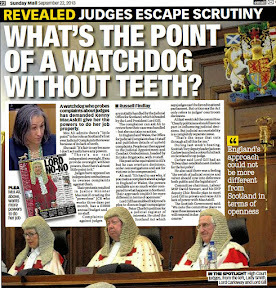 Further concerns have been raised after the Scottish Information Commissioner dodged calls to look into the case, after journalists called for a re-examination of how exemptions are used by the Scottish Government where Thompson’s written accusations were then censored under the guise of ‘protecting free and frank discussions between officials’. 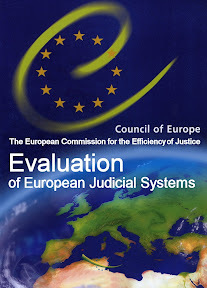 Ms Thompson’s predecessor Moi Ali also complained a lack of funds and support had made the role of Judicial Complaints Reviewer “enormously frustrating and difficult”. Today, it has been reported LibDem MSP Liam McArthur has urged Mr Matheson to review the post of JCR. 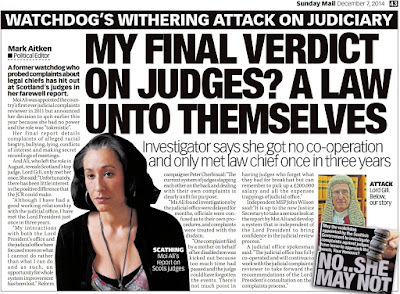 Tory MSP Liam Kerr said: “Given the criticism levelled at the Scottish Government by the former reviewer, it appears her successor has quite a job on his hands. Labour MSP Claire Baker added: “It is clear that the new JCR needs far greater support. “For the SNP to simply announce a new JCR but fail to address any of the serious structural shortcomings in the role is simply unacceptable. 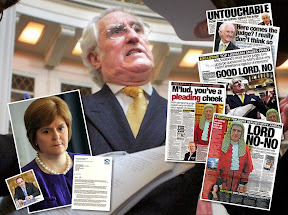 However the biography issued by the Scottish Government on Mr Gordon contains no references to his time as one of the first intake of Board members at the discredited Scottish Legal Complaints Commission. 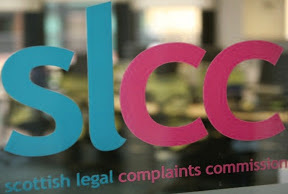 The SLCC was recently branded as a “toothless waste of time” by former Cabinet Secretary Alex Neil MSP (SNP Airdrie and Shotts) after the legal services regulator failed to act in a high profile case involving a senior QC caught up in a cash payments scandal. 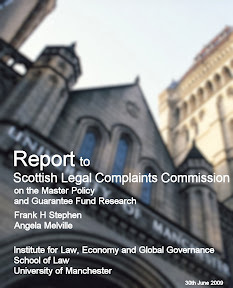 During Mr Gordon’s time on the board of the Scottish Legal Complaints Commission, the pro-lawyer regulator lurched from controversy to scandal, where media reports revealed board members infighting over dealing with members of the public, campaign groups, and drunken exchanges between board members & senior SLCC staff. Ian Gordon is listed as Chair on the website of the Ericht Trust and is an active director of the Ericht Trust which is also registered as a company limited by guarantee, managed by a Board of Trustees who are elected at an Annual General Meeting, and a Company Secretary. The Ericht Trust has since reported in March 2017 to be in the process of changing it’s name to the Erich Trust. The Ericht Trust describes itself as a 'not for profit' charitable organisation, which focuses on community development and regeneration in line with Scottish Government policies on community empowerment. It is a member of Development Trusts Association Scotland (DTAS). DTAS provides support to its members and a link into a network of the many comparable Trusts working for the benefit of their communities across Scotland. Being part of this bigger family gives strength to the organisation when voicing opinion or seeking support from Government and Local Authorities. The object of the Trust is to stimulate a range of community projects which will benefit residents and businesses and draw visitors to this area. 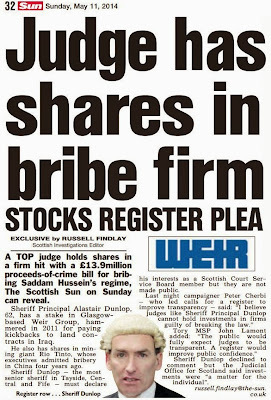 A register of interests posted by the Scottish Legal Complaints Commission also listed Mr Gordon as a director of Quarere Ltd.
Quaere Limited was set up on 20 Dec 2006 has its registered office in Perthshire. Its current status is listed as "Dissolved". The company's first directors were Marion Therese Gordon, Ian Alexander Gordon. Quaere Limited has no subsidiaries. Last annual accounts of Quarere Ltd were filed in 2009.